During the Civil War, Mexican cattleman Alvarez Kelly supplies the Union with cattle until Confederate Colonel Tom Rossiter's hungry men force Kelly to change his customers. 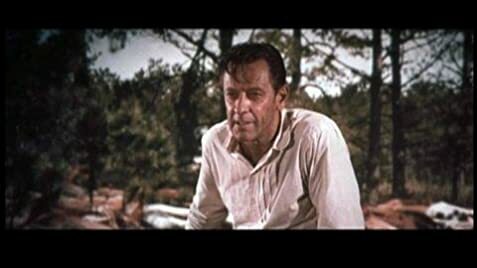 The Best 25 films of William Holden. During the Civil War, a group of Confederates escapes from the Union POW camp at Fort Bravo but has to contend with the desert, the Mescalero Apaches and the pursuing Union troops. During the Chinese Civil War of 1949, the Communists constantly harass the two priests of a remote Catholic mission outpost. An American colonel who has never been in combat is assigned to create a special forces unit from Canadian Army troops and a ragtag group of U.S. Army misfits. Tired of cow-punching for a living, two Montana cowboys rob a bank and flee but their employer's sons chase after them. A famous gunman becomes the marshal of Warlock to end a gang's rampages, but is met with some opposition by a former gang member turned deputy sheriff who wants to follow only legal methods. When a rancher's family is massacred by a gang of outlaws, he assembles a mean team of convicts as his posse to pursue the killers. Charity Warwick: You disappoint me, Mr. Kelly. After what happened to your home, I should think your sympathies would be with us. Alvarez Kelly: I have no sympathies, only instincts. And they shy away from losers. 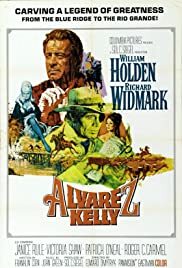 Alvarez Kelly is directed by Edward Dmytryk and stars William Holden & Richard Widmark. It's written by Elliott Arnold & Franklin Coen (Dan Taradash uncredited for tidying it up), the locations for the shoot are Baton Rouge & Clinton, Louisiana, with Joseph MacDonald on photography (Panavision). Story is apparently based on a true US Civil War incident in 1864, it sees Alvarez Kelly (Holden) kidnapped by Confederate's led by Tom Rossiter (Widmark) and forced to drive a herd of Union owned cattle to the hungry Reb troops in Richmond. Slow moving and blighted by a tepid script, Alvarez Kelly relies on its stars and photography to keep it out the trough. Evidently the makers were going for a social conscious piece based around an historical incident. All that is achieved is an overly talky piece, with periods of inane conversations; that is only briefly lit up by its action packed finale. And even then it can be argued that the "battle for the bridge" and the subsequent "stampede" isn't worth waiting 90 minutes for. The acting is solid, where Holden plays a role he could do in his sleep, and Widmark, sporting an eye patch, convinces as a rough and ready Colonel. Most pleasing is MacDonald's photography, not just for capturing the essence of the barren South in Baton Rouge, but also his choice of lenses for the top notch costuming (take a bow Seth Banks) afforded the ladies of the piece (Janice Rule & Victoria Shaw). There's a lovely print for this film, where in High Definition the colours positively ping from the screen.